Mural Description From the Lectures of Rabbi Edgar F. Magnin, 1929-1930: "The Jews march captive out of Jerusalem bearing a golden Menorah or candlestick of the Temple. The candlestick depicted on this canvas was taken from the sculptural representation as shown on the Arch of Titus in Rome. Jerusalem was destroyed in the year 70 of this era by the Romans under Titus. The most handsome and vigorous men were picked out for the triumphal procession. The city was razed to the ground. 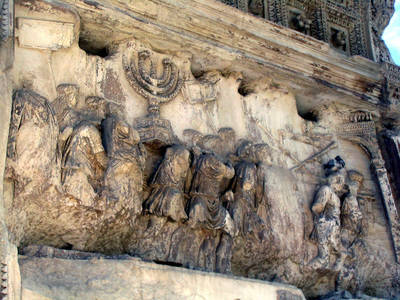 After a turn of gay festivities Titus embarked for Rome with seven hundred Jewish captives....After his death the Arch of Titus was erected in honor of Titus which stands to this day." 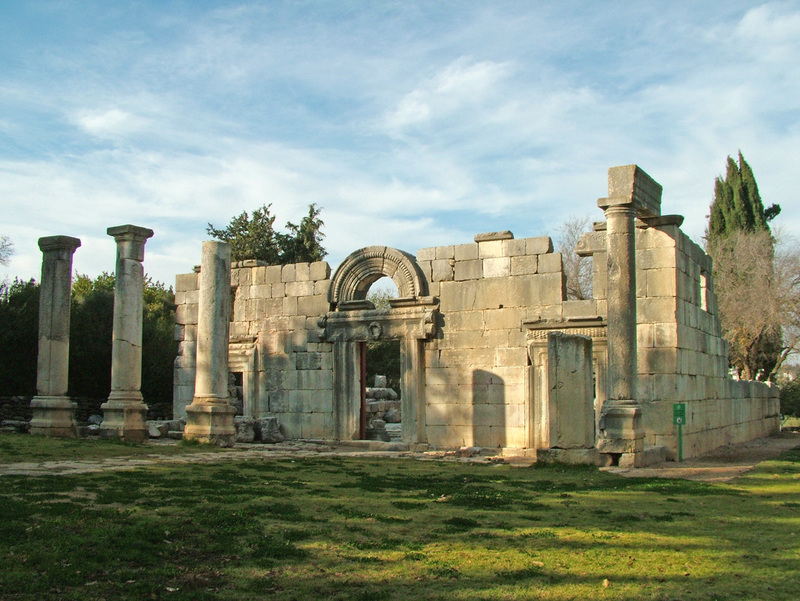 When the Second Temple was destroyed the synagogue emerged as the center of Jewish community life, and the act of prayer replaced sacrifice at the Temple. Historical works of art and architecture tell us stories about the time and circumstances in which they were created. Throughout Jewish history, there have been great Jewish leaders, such as Rabbi Yochanan, who in challenging times, created new models for Jewish learning. Is it important that Jewish practice adapt over time in response significant historical changes? 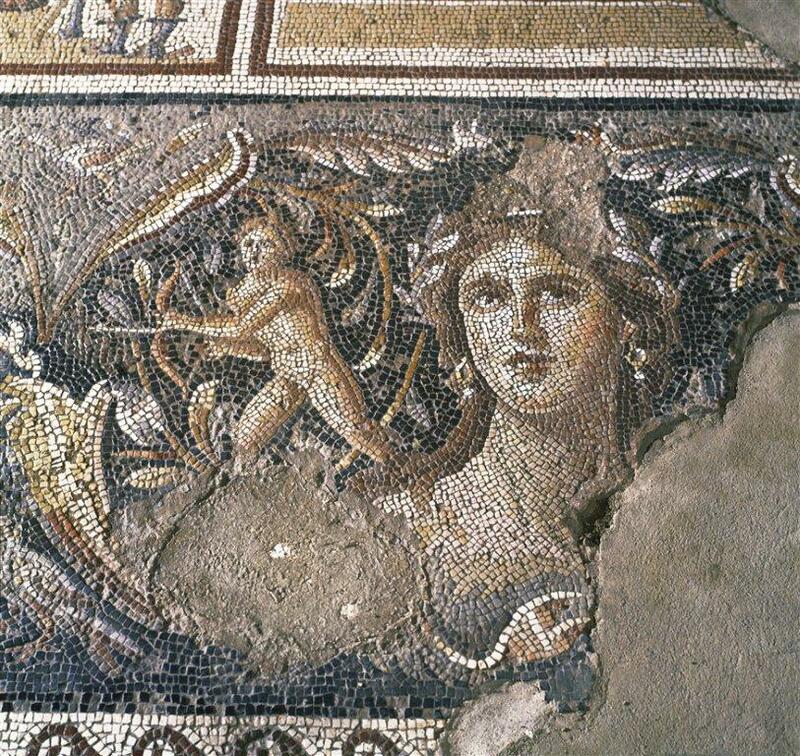 What can we learn about the times in which ancient Jews lived from the imagery discovered in their Synagogues? What do these ancient images tell us about how Jews living in ancient times understood the Second Commandment? Read in Primary Text: Understanding Jewish History 1, Sol Scharfstein, Ktav, 1996. 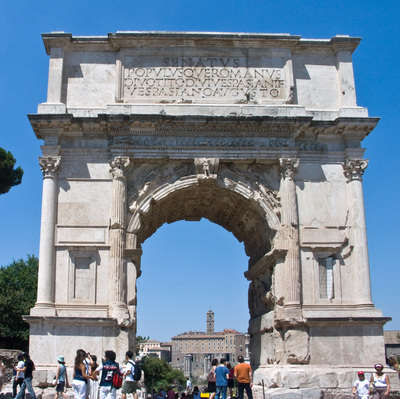 Explore the images below of the actual Arch of Titus which still stands in Rome. Watch the 6 minute video from Khan Academy explaining why the Arch of Titus was created. After the Second Temple was destroyed in 70 C.E. 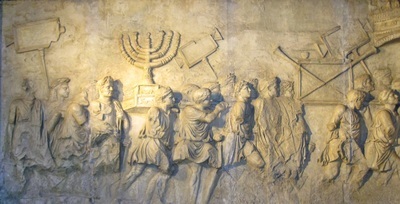 under the commander Titus, the Romans led the Jewish captives, and brought Temple treasures to Rome. The Arch of Titus was built in Rome to honor the conquerer. It still stands. The Temple’s destruction was devastating to the Jews but it ultimately it did not threaten the survival of Judaism or the Jewish people. When the great Jewish revolt of the Zealots against the Romans from 67-70 C.E. appeared to be doomed, Yochanan Ben Zakkai, a Rabbi of great vision and common sense came up with a plan. Read the story of Rabbi Yochanan with your students and explore with discussion questions below. According to tradition, Rabbi Yochanan lived in Jerusalem in 68 C.E. when the city was under siege by the Roman General Vespasian. In those years, Jerusalem was controlled by the Zealots, Jews who would rather die than surrender to Rome (these are the same people who controlled Masada). In their struggle against the Romans, the Zealots refused to let anyone surrender, and let no one leave the walled city of Jerusalem. Rabbi Yochanan urged surrender. Knowing that the Romans would ultimately win, he created a plan to ensure that Judaism survived under Roman rule. First he faked his own death and had his disciples smuggle him out of Jerusalem in a coffin. They carried the coffin to Vespasian's tent, where to everyone's surprise, Yochanan emerged from the coffin. He told Vespasian that he had had a vision (some would say, a smart political insight) that Vespasian would soon be emperor, and he asked Vespasian to set aside a place in Yavneh (in the Galilee, near modern Rehovot) where he could start a small school and study Torah in peace. Vespasian promised that if the prophesy came true, he would grant his request. Vespasian became Emperor within a year, and kept his word, allowing the school to be established after the war was over. The school Rabbi Yochanan established at Yavneh became the center of Jewish learning for centuries and replaced Jerusalem as the seat of the Sanhedrin, where Jewish law was debated. Rabbi Yochanan has been called the "father of wisdom and the father of generations (of scholars)" because he ensured the continuation of Jewish scholarship after Jerusalem fell to Rome in 70 C.E. He once ,"If you happen to be holding a sapling in your hand when they tell you that the Messiah has arrived, first plant the sapling and then go out and greet the Messiah." How do you understand this saying by Rabbi Yochanan? How does this saying relate to the action that Rabbi Yochanan took when he snuck out of Jerusalem and negotiated with Vespasian? When the Temple was destroyed, many Jews fell into deep depression, certain that God had deserted them. Not Rabbi Yochanan; he was too busy establishing a new center of Jewish life in Yavneh. When a disciple expressed despair that the Temple's destruction made it impossible to bring sacrifices and atone for sins, Rabbi Yochanan reassured him, "My son, be not aggrieved. We have another atonement as effective as this....acts of loving-kindness, as God says [in the Bible], 'For I desire mercy, not a sacrifice' " (Hosea 6:6). More than any other figure of the times, he is credited with created a model of Judaism that could endure without a Temple, without sacrifices, and without a state, no matter where Jews lived in the world. When the Second Temple was destroyed it led to a new hierarchy and order. The Priestly caste no longer had authority without a Temple to attend to; instead a group of wise and learned "Sages of the Torah" began to lead the people. Schools began to appear anywhere a great teacher was found; more people began to study Torah in cities in the North of Israel in the Galilee with great centers of learning, like Yavneh and Tiberias, Synagogue emerged as the center of community life, and the act of prayer replaced sacrifice at the Temple. Using ipads students will work in groups to tour their classmates through the unique art, architecture and history of one of six remaining synagogues built in Israel's Galilee after the destruction of the Second Temple. Each group will choose one of the the ancient synagogues below, and use Keynote, or another presentation App, to create a virtual tour. Script it as if you are the Tour Guide! 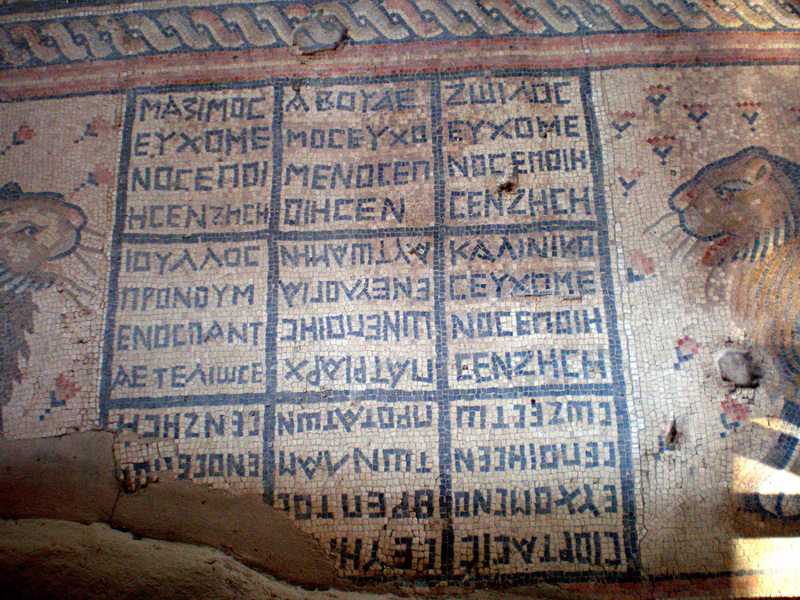 Information Needed to Create your Ancient Synagogue Tour. Click here to download a Tour Worksheet. See images of the 6 synagogues below. Create a script you will read, or act out like a tour guide, while you point to photographs, maps and other images projected as part of your group presentation. Think about how to best interest your audience. What questions can you ask them to keep them interested in your tour? Are there activities they can do to make your tour presentation interactive? Have fun and be creative! Use the questions below to help you compile the information you need to build your tour. Use the resources on the website as a starting place. 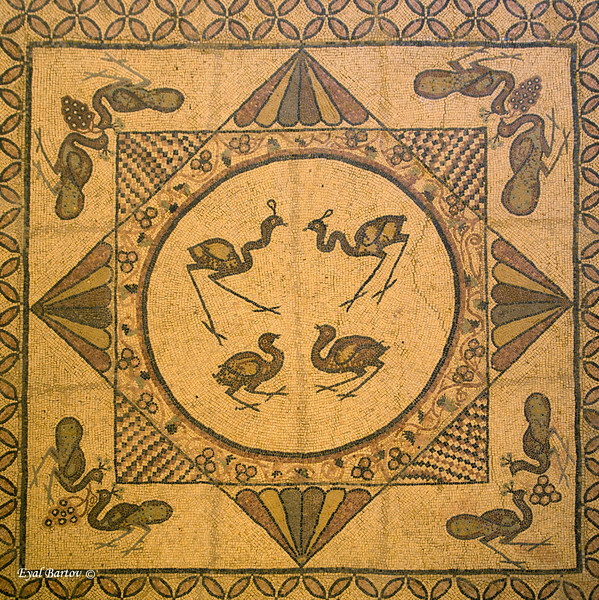 After viewing all the virtual tours discuss what these examples of ancient Synagogue art have in common with the art and imagery in the Sanctuary of Wilshire Boulevard Temple. 1. 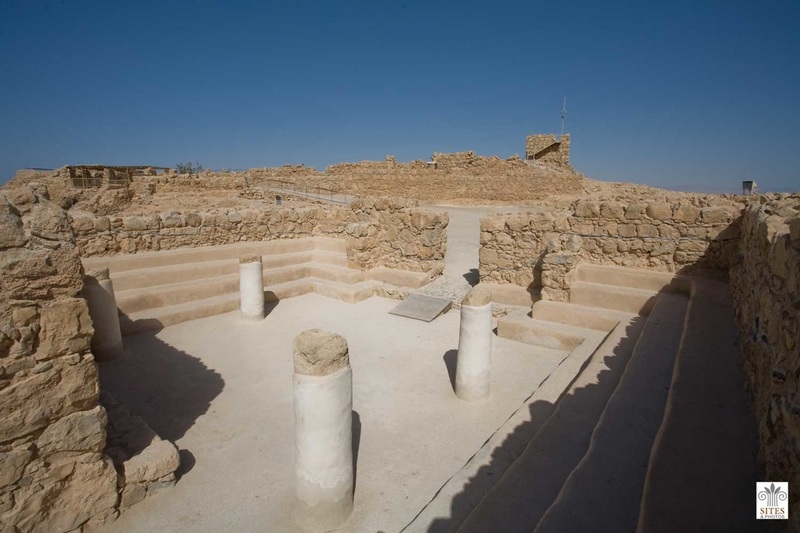 Where exactly in Israel is this ancient Synagogue? 2. What year was the synagogue built? What was happening in the land of Israel for the Jewish people at this time in history? 3. When and how did archeologists discover it? 4. What is unique about the architectural style? 5. What works of art, if any, were discovered in the synagogue? How were they made? What do the images or symbols mean or represent? Why is this significant? 6. What do the works of art tell us about the life of Jews at this time and place? 7. Are there interesting or important stories connected to this synagogue? Please share them. 8. What is known about how the synagogue was used during this time? 9. What is unique or special about this synagogue? What about the synagogue architecture, art or story especially interests you and why? 10. What photographs do you want to include in your tour presentation to fully tell the story of this ancient Jewish site?